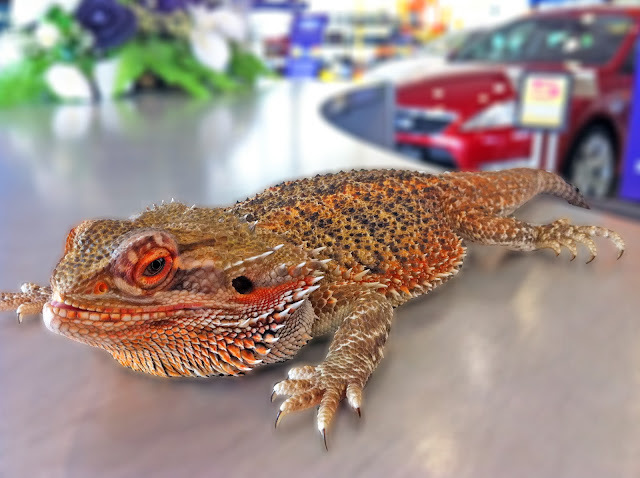 TIGERLIM.COM: How To Preventing Lizard Coming!!! Yea.... I know that is a fake lizard.. I purposely put it there on the top of my aircon there to prevent some lizard hiding behind there. I hate it so much every time their poo-poo there and make my all dirty. I had try many way to stop them coming in from the aircon lobang but still they manage to come in. Try some tangkap cicak gum and spray still no use until that day I was told by one of my friend he say just buy a fake lizard at those toys shop put that the area that I don't like to have sure no lizard coming one. The reason is because lizards also have their territories so if you put a fake lizard are bigger than them sure not hang around there one. No wonder some time I see lizard fighting at the light/tube lupanya ada tempat sendiri!!! 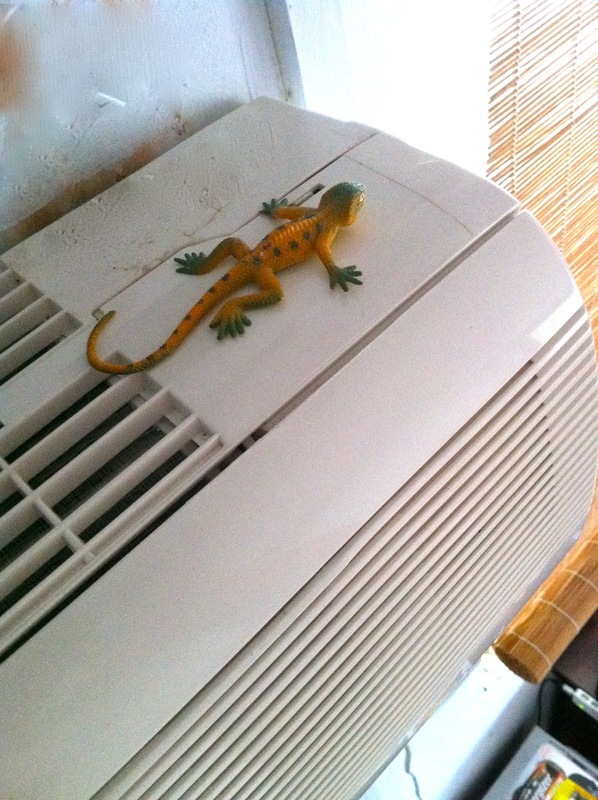 I found a bigger brown gali lizard almost 6 inch long inside my aircon after I switch it on!!! It was hiding in between the air guider and the fan there. The best thing to spray on lizard is the WD-40. That is the only solution to stop them walking on the walk. No way they can walk on the wall again with the WD-40 unless they know how to take shower lah!!! I really don't understand why it can eat until that big!!! I use pair of chopstick to pick him out and buanf tarus from my window!! Sorry I forget to take have his gambar. I guess I have to look for more bigger size fake one lizard over there already!!! Or maybe I need this real one from my friend and let him jaga my house!!! !